Memcrashed is a Memcached DDoS exploit tool written in Python that allows you to send forged UDP packets to a list of Memcached servers obtained from Shodan. This is related to the recent record-breaking Memcached DDoS attacks that are likely to plague 2018 with over 100,000 vulnerable Memcached servers showing up in Shodan. 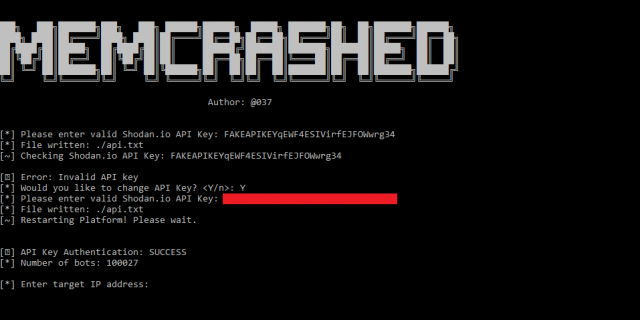 Read the rest of Memcrashed – Memcached DDoS Exploit Tool now! Only available at Darknet. I thought I’d write up some notes on the memcached DDoS. Specifically, I describe how many I found scanning the Internet with masscan, and how to use masscan as a killswitch to neuter the worst of the attacks. This example scans the entire Internet (/0). Replaced 0.0.0.0/0 with your address range (or ranges). I got 15181 results (or roughly 15,000). People are using Shodan to find a list of memcached servers. They might be getting a lot results back that response to TCP instead of UDP. 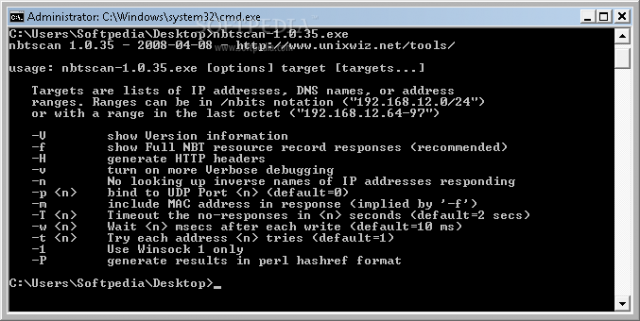 Only UDP can be used for the attack. Other researchers scanned the Internet a few days ago and found ~31k. I don’t know if this means people have been removing these from the Internet. BTW, you can not only use masscan to find amplifiers, you can also use it to carry out the DDoS. Simply import the list of amplifier IP addresses, then spoof the source address as that of the target. All the responses will go back to the source address. I point this out to show how there’s no magic in exploiting this. Numerous exploit scripts have been released, because it’s so easy. Like many servers, memcached listens to local IP address 127.0.0.1 for local administration. By listening only on the local IP address, remote people cannot talk to the server. However, this process is often buggy, and you end up listening on either 0.0.0.0 (all interfaces) or on one of the external interfaces. There’s a common Linux network stack issue where this keeps happening, like trying to get VMs connected to the network. I forget the exact details, but the point is that lots of servers that intend to listen only on 127.0.0.1 end up listening on external interfaces instead. It’s not a good security barrier. Thus, there are lots of memcached servers listening on their control port (11211) on external interfaces. The protocol is documented here. It’s pretty straightforward. The easiest amplification attacks is to send the “stats” command. This is 15 byte UDP packet that causes the server to send back either a large response full of useful statistics about the server. You often see around 10 kilobytes of response across several packets. A harder, but more effect attack uses a two step process. You first use the “add” or “set” commands to put chunks of data into the server, then send a “get” command to retrieve it. You can easily put 100-megabytes of data into the server this way, and causes a retrieval with a single “get” command. That’s why this has been the largest amplification ever, because a single 100-byte packet can in theory cause a 100-megabytes response. Doing the math, the 1.3 terabit/second DDoS divided across the 15,000 servers I found vulnerable on the Internet leads to an average of 100-megabits/second per server. This is fairly minor, and is indeed something even small servers (like Raspberry Pis) can generate. If they are using the more powerful attack against you, you can neuter it: you can send a “flush_all” command back at the servers who are flooding you, causing them to drop all those large chunks of data from the cache. I’m going to describe how I would do this. First, get a list of attackers, meaning, the amplifiers that are flooding you. The way to do this is grab a packet sniffer and capture all packets with a source port of 11211. Here is an example using tcpdump. Reportedly, “shutdown” may also work to completely shutdown the amplifiers. I’ll leave that as an exercise for the reader, since of course you’ll be adversely affecting the servers. 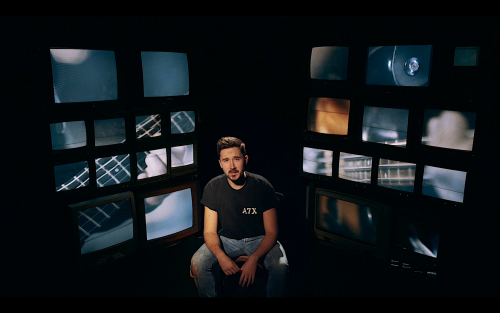 After getting in contact with us to share their latest build with us, we invited Matvey Fridman of Germany-based production company Spiegelbilder Studio to write a guest blog post about their CRT video walls created for the band STRANDKØNZERT. GERMAN DJENT RAP / EST. 2017. COMPLETE DIY-PROJECT. About a year ago, we had the idea of building a huge video wall out of old TVs to use in a music video. It took some time, but half a year later we found ourselves in a studio actually building this thing using 30 connected computers, 24 of which were Raspberry Pis. 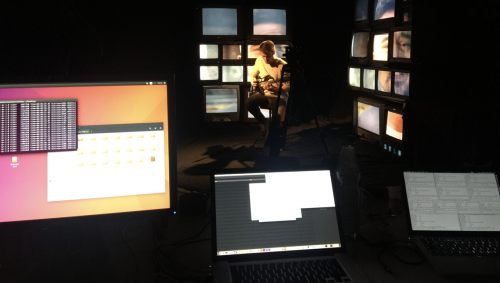 After weeks and months of preproduction and testing, we decided on two consecutive days to build the wall, create the underlying IP network, run a few tests, and then film the artists’ performance in front of it. We actually had 32 Pis (a mixed bag of first, second, and third generation models) and even more TVs ready to go, since we didn’t know what the final build would actually look like. We ended up using 29 separate screens of various sizes hooked up to 24 separate Pis — the remaining five TVs got a daisy-chained video signal out of other monitors for a cool effect. Each Pi had to run a free software called PiWall. Since the TVs only had analogue video inputs, we had to get special composite breakout cables and then adapt the RCA connectors to either SCART, S-Video, or BNC. 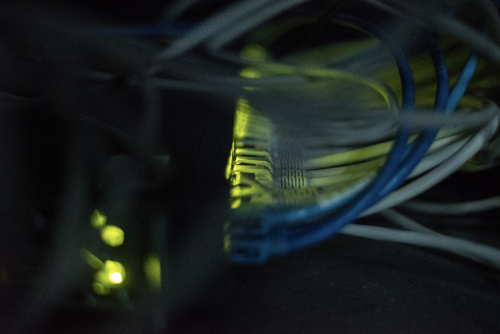 As soon as we had all of that running, we connected every Pi to a 48-port network switch that we’d hooked up to a Windows PC acting as a DHCP server to automatically assign IP addresses and handle the multicast addressing. 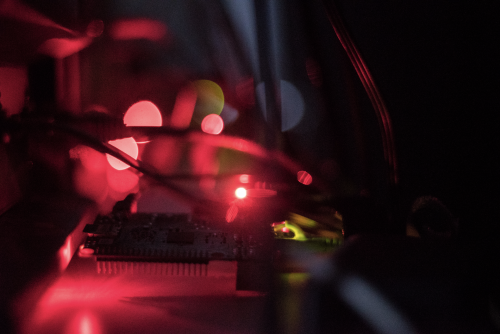 To make remote control of the Raspberry Pis easier, a separate master Linux PC and two MacBook laptops, each with SSH enabled and a Samba server running, joined the network as well. The MacBook laptops were used to drop two files containing the settings on each Pi. The .pitile file was unique to every Pi and contained their respective IDs. The .piwall file contained the same info for all Pis: the measurements and positions of every single screen to help the software split up the video signal coming in through the network. After every Pi got the command to start the PiWall software, which specifies the UDP multicast address and settings to be used to receive the video stream, the master Linux PC was tasked with streaming the video file to these UDP addresses. Now every TV was showing its section of the video, and we could begin filming. You can follow Spiegelbilder Studio on Facebook, Twitter, and Instagram. And if you enjoyed the music video, be sure to follow STRANDKØNZERT too. 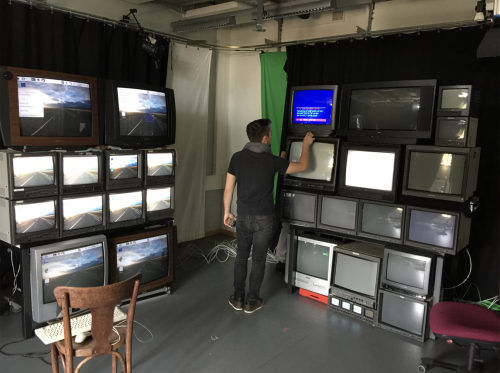 The post Spiegelbilder Studio’s giant CRT video walls appeared first on Raspberry Pi. 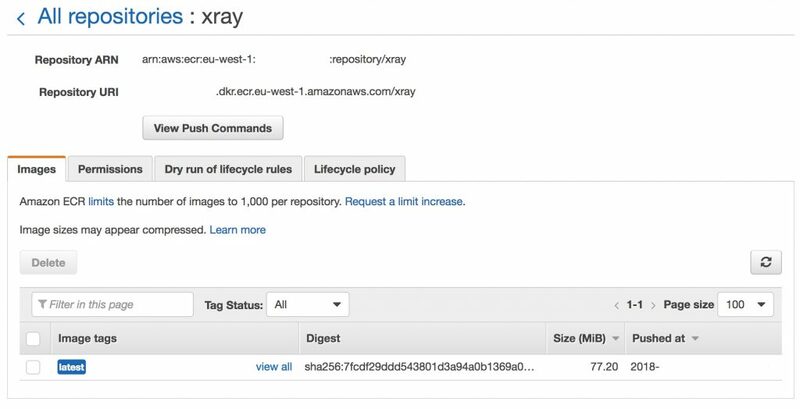 AWS X-Ray helps developers analyze and debug distributed applications and underlying services in production. You can identify and analyze root-causes of performance issues and errors, understand customer impact, and extract statistical aggregations (such as histograms) for optimization. In this blog post, I will provide a step-by-step walkthrough for enabling X-Ray tracing in the Go programming language. You can use these steps to add X-Ray tracing to any distributed application. This section will assist you with designing a guestbook application. Skip to “Instrumenting with AWS X-Ray” section below if you already have a Go language application. Revel is a web framework for the Go language. It facilitates the rapid development of web applications by providing a predefined framework for controllers, views, routes, filters, and more. To get started with Revel, run revel new github.com/jamesdbowman/guestbook. A project base is then copied to $GOPATH/src/github.com/jamesdbowman/guestbook. A basic guestbook application can consist of just two routes: one to sign the guestbook and another to list all entries. Let’s set up these routes by adding a Book controller, which can be routed to by modifying ./conf/routes. // randString returns a random string of len n, used for DynamoDB Hash key. // Book controls interactions with the guestbook. // Signature represents a user's signature. // ddb returns the controller's DynamoDB client, instatiating a new client if necessary. // Sign allows users to sign the book. // The message is to be passed as application/json typed content, listed under the "message" top level key. // List allows users to list all signatures in the book. The AWS SDKs emit trace segments over UDP on port 2000. (This port can be configured.) In order for the trace segments to make it to the X-Ray service, the daemon must listen on this port and batch the segments in calls to the PutTraceSegments API. For information about downloading and running the X-Ray daemon, see the AWS X-Ray Developer Guide. 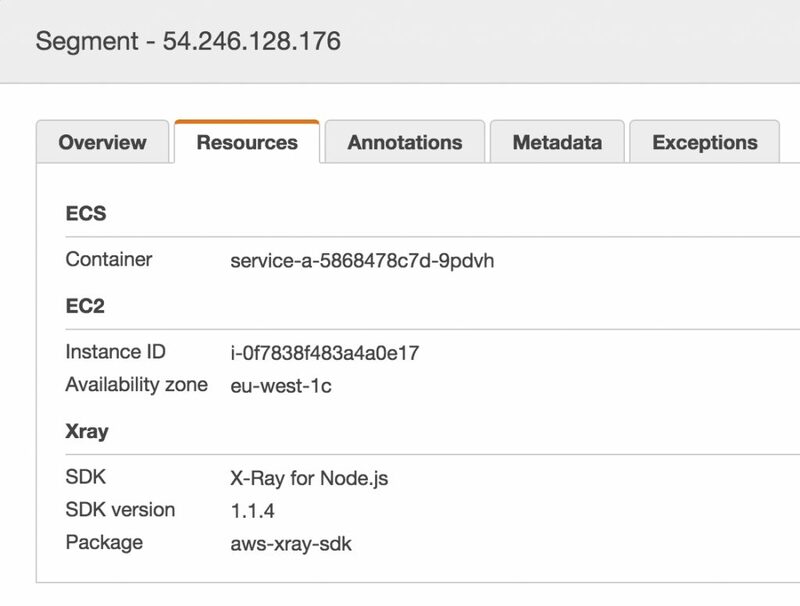 To download the SDK from GitHub, run go get -u github.com/aws/aws-xray-sdk-go/... The SDK will appear in the $GOPATH. The first step to instrumenting an application with AWS X-Ray is to enable the generation of trace segments on incoming requests. The SDK conveniently provides an implementation of http.Handler which does exactly that. To ensure incoming web requests travel through this handler, we can modify app/init.go, adding a custom function to be run on application start. You can customize the name of the segment to make it more descriptive by providing an alternate implementation of SegmentNamer to xray.Handler. For example, you can use xray.NewDynamicSegmentNamer(fallback, pattern) in place of the fixed namer. This namer will use the host name from the incoming web request (if it matches pattern) as the segment name. This is often useful when you are trying to separate different instances of the same application. 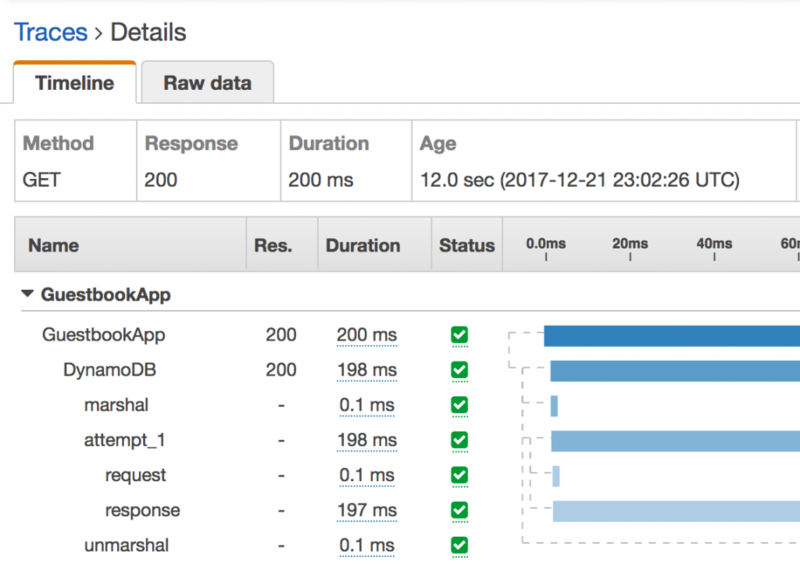 To provide detailed performance metrics for distributed applications, the AWS X-Ray SDK needs to measure the time it takes to make outbound requests. Trace context is passed to downstream services using the X-Amzn-Trace-Id header. To draw a detailed and accurate representation of a distributed application, outbound call instrumentation is required. 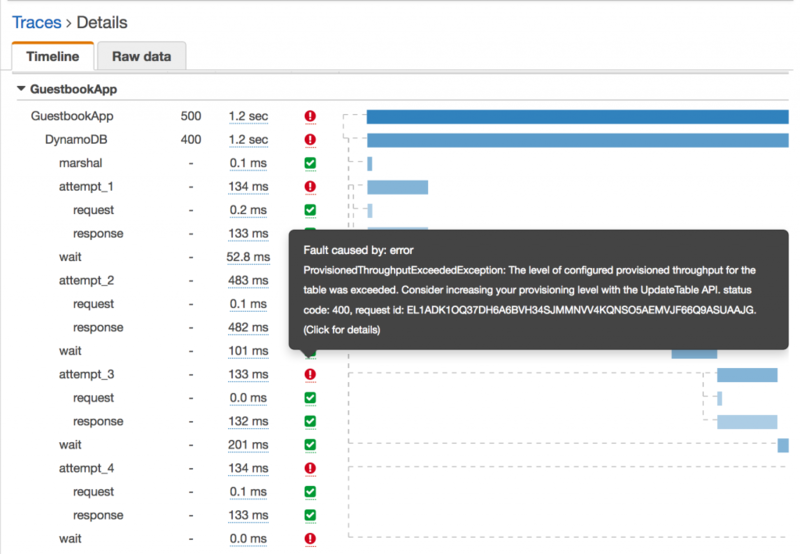 We can use this detail to help diagnose throttling on our DynamoDB table. In the following screenshot, the purple in the DynamoDB service graph node indicates that our table is underprovisioned. The red in the GuestbookApp node indicates that the application is throwing faults due to this throttling. By now, you are an expert on how to instrument X-Ray for your Go applications. Instrumenting X-Ray with your applications is an easy way to analyze and debug performance issues and understand customer impact. Please feel free to give any feedback or comments below. For more information about advanced configuration of the AWS X-Ray SDK for Go, see the AWS X-Ray SDK for Go in the AWS X-Ray Developer Guide and the aws/aws-xray-sdk-go GitHub repository. For more information about some of the advanced X-Ray features such as histograms, annotations, and filter expressions, see the Analyzing Performance for Amazon Rekognition Apps Written on AWS Lambda Using AWS X-Ray blog post. In January 2016, a BitTorrent enthusiast decided to launch a stand-alone tracker, purely for fun. The Zer0day platform, which hosts no torrents, is a tracker in the purest sense, directing traffic between peers, no matter what content is involved and no matter where people are in the world. With this type of tracker in short supply, it was soon utilized by The Pirate Bay and the now-defunct ExtraTorrent. By August 2016, it was tracking almost four million peers and a million torrents, a considerable contribution to the BitTorrent ecosystem. After handling many ups and downs associated with a service of this type, the tracker eventually made it to the end of 2016 intact. This year it grew further still and by the end of September was tracking an impressive 5.5 million peers spread over 1.2 million torrents. Soon after, however, the tracker disappeared from the Internet without warning. In an effort to find out what had happened, TorrentFreak contacted Zer0day’s operator who told us a familiar story. Without any warning at all, the site’s host pulled the plug on the service, despite having been paid 180 euros for hosting just a week earlier. “We’re hereby informing you of the termination of your dedicated server due to a breach of our terms of service,” the host informed Zer0day. While hosts tend not to worry too much about what their customers are doing, this one had just received a particularly lengthy complaint. Sent by the head of anti-piracy at French collecting society SCPP, it laid out the group’s problems with the Zer0day tracker. “SCPP has been responsible for the collective management and protection of sound recordings and music videos producers’ rights since 1985. SCPP counts more than 2,600 members including the majority of independent French producers, in addition to independent European producers, and the major international companies: Sony, Universal and Warner,” the complaints reads. Noting that it works on behalf of a number of labels and distributors including BMG, Sony Music, Universal Music, Warner Music and others, SCPP listed countless dozens of albums under its protection, each allegedly tracked by the Zer0day platform. “It has come to our attention that these music albums are illegally being communicated to the public (made available for download) by various users of the BitTorrent-Network,” the complaint reads. Noting that Zer0day is involved in the process, the anti-piracy outfit presented dozens of hash codes relating to protected works, demanding that the site stop facilitation of infringement on each and every one of them. “We have proof that your tracker udp://tracker.zer0day.to:1337/announce provided peers of the BitTorrent-Network with information regarding these torrents, to be specific IP Addresses of peers that were offering without authorization the full albums for download, and that this information enabled peers to download files that contain the sound recordings to which our members producers have the exclusive rights. Rather than take the hashes down from the tracker, SCPP actually demanded that Zer0day create a permanent blacklist within 24 hours, to ensure the corresponding torrents wouldn’t be tracked again. “You should understand that this letter constitutes a notice to you that you may be liable for the infringing activity occurring on your service. In addition, if you ignore this notice, you may also be liable for any resulting infringement,” the complaint added. But despite all the threats, SCPP didn’t receive the response they’d demanded since the operator of the site refused to take any action. “Obviously, ‘info hashes’ are not copyrightable nor point to specific copyrighted content, or even have any meaning. Further, I cannot verify that request strings parameters (‘info hashes’) you sent me contain copyrighted material,” he told SCPP. The net effect of non-compliance with SCPP was fairly dramatic and swift. Zer0day’s host took down the whole tracker instead and currently it remains offline. Whether it reappears depends on the site’s operator finding a suitable web host, but at the moment he says he has no idea where one will appear from. “Currently I’m searching for some virtual private server as a temporary home for the tracker,” he concludes. As mentioned in an earlier article detailing the problems sites like Zer0day.to face, trackers aren’t absolutely essential for the functioning of BitTorrent transfers. Nevertheless, their existence certainly improves matters for file-sharers so when they go down, millions can be affected. nbtscan is a command-line NetBIOS scanner for Windows that is SUPER fast, it scans for open NetBIOS nameservers on a local or remote TCP/IP network, and this is the first step in the finding of open shares. It is based on the functionality of the standard Windows tool nbtstat, but it operates on a range of addresses instead of just one. NETBIOS is commonly known as the Windows “Network Neighborhood” protocol, and (among other things), it provides a name service that listens on UDP port 137. Read the rest of nbtscan Download – NetBIOS Scanner For Windows & Linux now! Only available at Darknet. На FOSDEM 2016 видео потоците в локалната мрежа бяха носени през UDP, което при загуби по мрежата водеше до разни неприятни прекъсвания и обърквания на ffmpeg-а. След разговори по темата за мрежа без загуби, пакети, пренасяни от еднорози и изграждане на infiniband мрежа в ULB, бях стигнал до идеята да търся или нещо с forward error correction, или някакъв reliable multicast. За FEC се оказа, че има някаква реализация от едно време за ffmpeg за PRO-MPEG, която не е била приета по някакви причини, за reliable multicast открих два протокола – PGM и NORM. За PGM се оказа, че има хубава реализация, която 1) я има в Debian, 2) има прилични примери и 3) може да има средно ужасна документация, но source е сравнително четим и става за дебъгване. Измъкнах си старото ttee, разчистих кода от разни ненужни неща и си направих едно тривиално proxy, което да разнася пакети между UDP и PGM (и stdin/stdout за дебъгване). Може да се намери на https://github.com/krokodilerian/pgmproxy, като в момента е в proof-of-concept състояние и единственото, което мога да кажа е, че успявам да прекарам през него един FLAC през мрежата и да го слушам 🙂 Следват тестове в мрежа със загуби (щото в моя локален wifi са доста малко) и доизчистване, че да го ползваме на FOSDEM. Hard to believe it’s already August! This week there were a ton of articles to highlight. It’s really exciting to see how many data aficionados there are out there coming up with new ways to connect Grafana to their data, wherever it may live. In this issue we cover crypto currency visualization, home automation setups and breakdown the installation in a number of environments. Enjoy! This week’s release includes a few updates and some bug fixes. To see the full changelog, head over to our community site. Monitoring CouchDB with Prometheus, Grafana and Docker: Geoff walks us through all of the steps to get Prometheus, Alertmanager and Grafana installed in Docker to monitor and alert on a CouchDB cluster. These six steps will have you up and running in no time. Try InfluxDB and Grafana by Docker: Continuing with our Docker theme, Xiao breaks down all of the pieces, explores the configuration options, and explains the Docker commands to setup a simple monitoring stack by using collectd, InfluxDB and Grafana. Installation of Collectd, Graphite and Grafana – Part 2: Last week we covered the first article in a series focused on setting up a complete Graphite stack. This week we tackle installing Graphite, its components, and Grafana on the server. Grafana and Home Automation: More and more pieces of our homes are becoming “smart”, so why not monitor them? This article walks you through collecting data from home automation software Jeedom, sending metrics to InfluxDB, and visualizing and alerting in Grafana – so you can know how your smart-toaster is performing. Making an Awesome Dashboard for your Crypto Currencies in 3 Steps: Christian lays out three steps that will help you keep an eye on your Bitcoin and Ethereum investments. His PHP script fetches things like current price, current balances, earnings, and sends the data to InfluxDB via UDP. He’s also created a dashboard that’s ready to import so you can get back to mining. FHEM #6 – Grafana and InfluxDB: We’re seeing more and more articles about using Grafana to monitor home automation. This is the sixth article in a series getting data from FHEM into Grafana using InfdluxDB. It also touches on connecting Grafana to MariaDB, taking advantage of Grafana’s alpha native MySQL support. Installation Overview of Node Exporter, Prometheus and Grafana: Looking to get started with Prometheus? Frits walks us through installing Node Exporter, Prometheus, and Grafana and importing our first dashboard. Collect Metrics from Liberty Apps and Display in Grafana: This in-depth article covers adding custom metrics to your Liberty application and how to monitor these metrics using collectd, Graphite and Grafana. Gatling, Graphite, Grafana: Your Application Under High Surveillance! : David explores Gatling, for load testing which can write the data to Graphite and over to Grafana for visualization and alerting. Last week’s timeShift was packed full of plugin updates, as well as a couple of new ones. This week was a little quieter on the plugin front, but we still have a new data source plugin to announce. It’s easy to install this new plugin via the grafana-cli for an on-prem Grafana instance, or a 1-click install on Hosted Grafana. PRTG Data Source – This data source visualizes data from the Paessler PRTG monitoring system. The easy to use query editor included with this plugin gives access to an array of PRTG metadata properties including Status, Message, Active, Tags, Priority, and more. Annotation support to show sensor status messages on graphs. This week we highlight a contributor who is going to make everyone waiting for Elasticsearch alerting in Grafana jump for joy! lvheyang submitted a PR for Elasticsearch Alerting that must have been a huge amount of work and is of impressive quality. Thank you very much for your hard work and we look forward to releasing Alerting for Elasticsearch in Grafana 5.0.0. Nice @jorgedlcruz! – Making data more beautiful, one boring number at a time 🙂 – Also, I spy one of my favorite panels in there, the Worldmap Panel! We love when people talk about Grafana at meetups and conferences. Steve Wade, is a Principal Kubernetes Consultant from London and will be providing some fundamental information about the Kubernetes ecosystem as well as overview of its core components. He’ll also talk about some monitoring and alerting best practices learned from working with Kubernetes customers and demo how Prometheus, Grafana and Slack can be used to monitor, visualize and alert on both the Kubernetes platform as well as application workloads. Aaron Brown, a Site Reliability Engineer at Github, will dive into the ways in which Kubernetes is used within Github to make software development and deployment more efficient. Please tell us how we’re doing. We want to make sure this continues to be a valuable resource for the Grafana community. Submit a comment on this article below, or post something at our community forum. Help us make this better! HiveMQ is a cloud-first MQTT broker with elastic clustering capabilities and a resilient software design which is a perfect fit for common cloud infrastructures. This blogpost discussed what benefits a MQTT broker cluster offers. Today’s post aims to be more practical and talk about how to set up a HiveMQ on one of the most popular cloud computing platform: Amazon Webservices. Running a HiveMQ cluster on cloud infrastructure like AWS not only offers the advantage the possibility of elastically scaling the infrastructure, it also assures that state of the art security standards are in place on the infrastructure side. These platforms are typically highly available and new virtual machines can be spawned in a snap if they are needed. HiveMQ’s unique ability to add (and remove) cluster nodes at runtime without any manual reconfiguration of the cluster allow to scale linearly on IaaS providers. New cluster nodes can be started (manually or automatically) and the cluster sizes adapts automatically. For more detailed information about HiveMQ clustering and how to achieve true high availability and linear scalability with HiveMQ, we recommend reading the HiveMQ Clustering Paper. As Amazon Webservice is amongst the best known and most used cloud platforms, we want to illustrate the setup of a HiveMQ cluster on AWS in this post. Note that similar concepts as displayed in this step by step guide for Running an elastic HiveMQ cluster on AWS apply to other cloud platforms such as Microsoft Azure or Google Cloud Platform. Amazon Webservices prohibits the use of UDP multicast, which is the default HiveMQ cluster discovery mode. The use of Amazon Simple Storage Service (S3) buckets for auto-discovery is a perfect alternative if the brokers are running on AWS EC2 instances anyway. HiveMQ has a free off-the-shelf plugin available for AWS S3 Cluster Discovery. The following provides a step-by-step guide how to setup the brokers on AWS EC2 with automatic cluster member discovery via S3. The first step is creating a security group that allows inbound traffic to the listeners we are going to configure for MQTT communication. It is also vital to have SSH access on the instances. After you created the security group you need to edit the group and add an additional rule for internal communication between the cluster nodes (meaning the source is the security group itself) on all TCP ports. The next step is to create an s3-bucket in the s3 console. Make sure to choose a region, close to the region you want to run your HiveMQ instances on. Our recommendation is to configure your EC2 instances in a way, allowing them to have access to the s3 bucket. This way you don’t need to create a specific user and don’t need to use the user’s credentials in the s3discovery.properties file. The next step is creating a user in the IAM console. It is important you store these credentials, as they will be needed later for configuring the S3 Cluster Discovery Plugin. The next step is spawning 2 or more EC-2 instances with HiveMQ. Follow the steps in the HiveMQ User Guide. The final step is downloading, installing and configuring the S3 Cluster Discovery Plugin. After you downloaded the plugin you need to configure the s3 access in the s3discovery.properties file according to which s3 access option you chose. # Notice: This only works if HiveMQ is running on an EC2 instance ! # Uses the credentials specified in this file. # Expiration timeout (in minutes). # Set to 0 if you do not want the plugin to handle expiration. # Interval (in minutes) in which the own information in S3 is updated. # Set to 0 if you do not want the plugin to update its own information. # If you disable this you also might want to disable expiration. This file has to be identical on all your cluster nodes. That’s it. Starting HiveMQ on multiple EC2 instances will now result in them forming a cluster, taking advantage of the S3 bucket for discovery. You know that your setup was successful when HiveMQ logs something similar to this. Cluster size = 2, members : [0QMpE, jw8wu]. We are now able to take advantage of rapid elasticity. Scaling the HiveMQ cluster up or down by adding or removing EC2 instances without the need of administrative intervention is now possible. For production environments it’s recommended to use automatic provisioning of the EC2 instances (e.g. by using Chef, Puppet, Ansible or similar tools) so you don’t need to configure each EC2 instance manually. Of course HiveMQ can also be used with Docker, which can also ease the provisioning of HiveMQ nodes. file according to which s3 access option you chose. Throughout our careers, we developers keep adding new tools to our development toolboxes. These range from the programming languages we learn, use, and become experts in, to architectural components such as HTTP servers, load balancers, and databases (both relational and NoSQL). I’d like to kick off a series of posts to introduce you to the architectural components of messaging solutions. Expand your toolbox with this indispensable tool for building modern, scalable services and applications. In the coming months, I will update this post with links that dive deeper into each topic and illustrate messaging use cases using Amazon Simple Queue Service (SQS) and Amazon Simple Notification Service (SNS). Messaging involves passing messages around, but it’s different from email or text messages, because it is intended for communication between software components, not between people. Enterprise messaging happens at a higher level than that of UDP packets or direct TCP connections (although it does frequently use these protocols). A message typically contains the payload — whatever information your application sends: XML, JSON, binary data, and so on. You can also add optional attributes and metadata to a message. A SQL or NoSQL database often has a server that stores data. Similarly, a messaging server or service allows a place for your messages to be stored temporarily and transmitted. For a database service, the main resource is a table. In a messaging service, the two main resources are the queue and the topic. A queue is like a buffer. You can put messages into a queue, and you can retrieve messages from a queue. The software that puts messages into a queue is called a message producer and the software that retrieves messages is called a message consumer. A topic is like a broadcasting station. 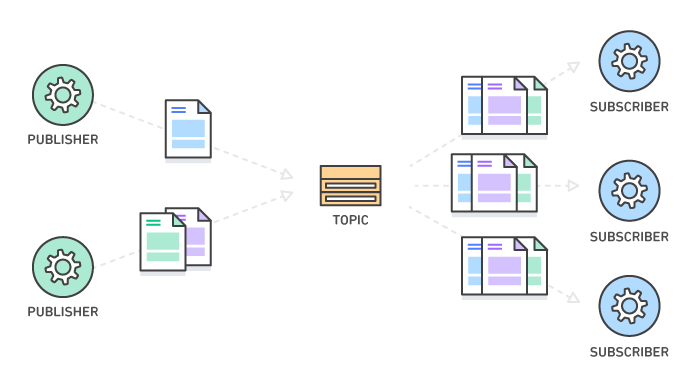 You can publish messages to a topic, and anyone interested in these messages can subscribe to the topic. Then, the interested parties are notified about the published messages. The software that broadcasts topics is called a topic publisher and the software that subscribes to broadcasts is called a topic subscriber. When should you use messaging? There are some common use cases that might instantly make you think “I should use messaging for that!” Here are some of these use cases (to be discussed in greater detail in future posts). You have two services or systems that need to communicate with each other. Let’s say a website (the frontend) has to update customer’s delivery address in a customer relationship management (CRM) system (the backend). Alternatively, you can set up a load balancer in front of the backend CRM service and call its API actions directly from the frontend website. You can also set up a queue and have the frontend website code send messages to the queue and have the backend CRM service to consume them. You have a service that has to track a backlog of actions to be executed. Let’s say a hotel booking system needs to cancel a booking and this process takes a long time (from a few seconds to a minute). You can execute the cancellation synchronously, but then you risk annoying the customer who has to wait for the webpage to load. You can also track all pending cancellations in your database and keep polling and executing cancellations. Alternatively, you can put a message into a queue and have the same hotel booking system consume messages from that queue and perform asynchronous cancellations. You have a service that manages some resource and other services that receive updates about changes to those resources. Let’s say an inventory tracking system tracks products stocked in a warehouse. Whenever the stock is sold out, the website must stop offering that product. Whenever the stock is close to being depleted, the purchasing system must place an order for more items. Those systems can keep querying the inventory system to learn about these changes (or even directly examine the database—yuck!). Alternatively, the inventory system can publish notifications about stock changes to a topic and any interested program can subscribe to learn about those changes. When should you not use messaging? According to the law of the instrument, “If all you have is a hammer, everything looks like a nail.” In other words, it’s important to know when a particular technology won’t fit well with your use case. For example, you have a relational database that you can store large binary files in… but you probably shouldn’t. Messaging has its own set of commonly encountered anti-patterns (also to be discussed in greater detail in future posts). Most messaging protocols and implementations work best with reasonably sized messages (in the tens or hundreds of KBs). As message sizes grow, it’s best to use a dedicated file (or blob) storage system, such as Amazon S3, and pass a reference to an object in that store in the message itself. A dedicated file (or blob) store typically has much better support for uploading data in chunks with the ability to retry or resume downloads from a particular fragment. Most messaging services provide both options for consuming messages. Pull means continuously querying whether the messaging service has any new messages. Push means that the messaging service notifies you when a message is available. The notification about the new message might be a special packet sent over the messaging protocol. It might also be an HTTP call that the messaging service makes to your API endpoint. You can also use long-polling, which combines both push and pull functionality. What can your application do if a queue contains a message that you can’t process? Most messaging services allow you to configure a dead-letter queue for messages that you fail to process a certain number of times. This makes it easy to set them aside for further inspection without blocking the queue processing or spending CPU cycles on a message that can never be consumed successfully. What if you want to postpone the processing of a particular message until a specific time? Many messaging services support setting a specific delivery time for a message. If you need to have a common delay for all messages, you can set up a delay queue. Do you need to process messages exactly in the order in which they were sent? Could your application parallelize the workload and process messages out of order? Do you want your application to consume certain messages at a higher priority than other messages? What happens if your application fails to process a message midway? Can you handle processing the same message again? Another in the series of looking at the security of IoT type objects. This time I’ve gone for the Arlo network connected cameras produced by Netgear, specifically the stock Arlo base system with a single camera. The base station is based on a Broadcom 5358 SoC with an 802.11n radio, along with a single Broadcom gigabit ethernet interface. Other than it only having a single ethernet port, this looks pretty much like a standard Netgear router. There’s a convenient unpopulated header on the board that turns out to be a serial console, so getting a shell is only a few minutes work. Normal setup is straight forward. You plug the base station into a router, wait for all the lights to come on and then you visit arlo.netgear.com and follow the setup instructions – by this point the base station has connected to Netgear’s cloud service and you’re just associating it to your account. Security here is straightforward: you need to be coming from the same IP address as the Arlo. For most home users with NAT this works fine. I sat frustrated as it repeatedly failed to find any devices, before finally moving everything behind a backup router (my main network isn’t NATted) for initial setup. Once you and the Arlo are on the same IP address, the site shows you the base station’s serial number for confirmation and then you attach it to your account. Next step is adding cameras. Each base station is broadcasting an 802.11 network on the 2.4GHz spectrum. You connect a camera by pressing the sync button on the base station and then the sync button on the camera. The camera associates with the base station via WDS and now you’re up and running. This is the point where I get bored and stop following instructions, but if you’re using a desktop browser (rather than using the mobile app) you appear to need Flash in order to actually see any of the camera footage. Bleah. But back to the device itself. The first thing I traced was the initial device association. What I found was that once the device is associated with an account, it can’t be attached to another account. This is good – I can’t simply request that devices be rebound to my account from someone else’s. Further, while the serial number is displayed to the user to disambiguate between devices, it doesn’t seem to be what’s used internally. Tracing the logon traffic from the base station shows it sending a long random device ID along with an authentication token. If you perform a factory reset, these values are regenerated. The device to account mapping seems to be based on this random device ID, which means that once the device is reset and bound to another account there’s no way for the initial account owner to regain access (other than resetting it again and binding it back to their account). This is far better than many devices I’ve looked at. Performing a factory reset also changes the WPA PSK for the camera network. Newsky Security discovered that doing so originally reset it to 12345678, which is, uh, suboptimal? That’s been fixed in newer firmware, along with their discovery that the original random password choice was not terribly random. All communication from the base station to the cloud seems to be over SSL, and everything validates certificates properly. This also seems to be true for client communication with the cloud service – camera footage is streamed back over port 443 as well. Most of the functionality of the base station is provided by two daemons, xagent and vzdaemon. xagent appears to be responsible for registering the device with the cloud service, while vzdaemon handles the camera side of things (including motion detection). All of this is running as root, so in the event of any kind of vulnerability the entire platform is owned. For such a single purpose device this isn’t really a big deal (the only sensitive data it has is the camera feed – if someone has access to that then root doesn’t really buy them anything else). They’re statically linked and stripped so I couldn’t be bothered spending any significant amount of time digging into them. In any case, they don’t expose any remotely accessible ports and only connect to services with verified SSL certificates. They’re probably not a big risk. Other than the dependence on Flash, there’s nothing immediately concerning here. What is a little worrying is a family of daemons running on the device and listening to various high numbered UDP ports. These appear to be provided by Broadcom and a standard part of all their router platforms – they’re intended for handling various bits of wireless authentication. It’s not clear why they’re listening on 0.0.0.0 rather than 127.0.0.1, and it’s not obvious whether they’re vulnerable (they mostly appear to receive packets from the driver itself, process them and then stick packets back into the kernel so who knows what’s actually going on), but since you can’t set one of these devices up in the first place without it being behind a NAT gateway it’s unlikely to be of real concern to most users. On the other hand, the same daemons seem to be present on several Broadcom-based router platforms where they may end up being visible to the outside world. That’s probably investigation for another day, though. Overall: pretty solid, frustrating to set up if your network doesn’t match their expectations, wouldn’t have grave concerns over having it on an appropriately firewalled network. Normal setup is straight forward. You plug the base station into a router, wait for all the lights to come on and then you visit arlo.netgear.com and follow the setup instructions – by this point the base station has connected to Netgear’s cloud service and you’re just associating it to your account. Security here is straightforward: you need to be coming from the same IP address as the Arlo. For most home users with NAT this works fine. I sat frustrated as it repeatedly failed to find any devices, before finally moving everything behind a backup router (my main network isn’t NATted) for initial setup. Once you and the Arlo are on the same IP address, the site shows you the base station’s serial number for confirmation and then you attach it to your account. Next step is adding cameras. Each base station is broadcasting an 802.11 network on the 2.4GHz spectrum. You connect a camera by pressing the sync button on the base station and then the sync button on the camera. The camera associates with the base station via WPS and now you’re up and running. Ikea recently launched their Trådfri smart lighting platform in the US. The idea of Ikea plus internet security together at last seems like a pretty terrible one, but having taken a look it’s surprisingly competent. Hardware-wise, the device is pretty minimal – it seems to be based on the Cypress WICED IoT platform, with 100MBit ethernet and a Silicon Labs Zigbee chipset. It’s running the Express Logic ThreadX RTOS, has no running services on any TCP ports and appears to listen on two single UDP ports. As IoT devices go, it’s pleasingly minimal. That single port seems to be a COAP server running with DTLS and a pre-shared key that’s printed on the bottom of the device. When you start the app for the first time it prompts you to scan a QR code that’s just a machine-readable version of that key. The Android app has code for using the insecure COAP port rather than the encrypted one, but the device doesn’t respond to queries there so it’s presumably disabled in release builds. It’s also local only, with no cloud support. You can program timers, but they run on the device. The only other service it seems to run is an mdns responder, which responds to the _coap._udp.local query to allow for discovery. From a security perspective, this is pretty close to ideal. Having no remote APIs means that security is limited to what’s exposed locally. The local traffic is all encrypted. You can only authenticate with the device if you have physical access to read the (decently long) key off the bottom. I haven’t checked whether the DTLS server is actually well-implemented, but it doesn’t seem to respond unless you authenticate first which probably covers off a lot of potential risks. The SoC has wireless support, but it seems to be disabled – there’s no antenna on board and no mechanism for configuring it. However, there’s one minor issue. On boot the device grabs the current time from pool.ntp.org (fine) but also hits http://fw.ota.homesmart.ikea.net/feed/version_info.json . That file contains a bunch of links to firmware updates, all of which are also downloaded over http (and not https). The firmware images themselves appear to be signed, but downloading untrusted objects and then parsing them isn’t ideal. Realistically, this is only a problem if someone already has enough control over your network to mess with your DNS, and being wired-only makes this pretty unlikely. I’d be surprised if it’s ever used as a real avenue of attack. Using a content delivery network (CDN) such as Amazon CloudFront to cache and serve static text and images or downloadable objects such as media files and documents is a common strategy to improve webpage load times, reduce network bandwidth costs, lessen the load on web servers, and mitigate distributed denial of service (DDoS) attacks. AWS WAF is a web application firewall that can be deployed on CloudFront to help protect your application against DDoS attacks by giving you control over which traffic to allow or block by defining security rules. 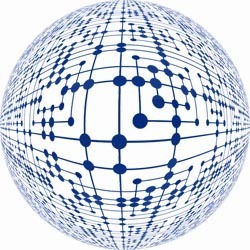 When users access your application, the Domain Name System (DNS) translates human-readable domain names (for example, www.example.com) to machine-readable IP addresses (for example, 192.0.2.44). A DNS service, such as Amazon Route 53, can effectively connect users’ requests to a CloudFront distribution that proxies requests for dynamic content to the infrastructure hosting your application’s endpoints. In this blog post, I show you how to deploy CloudFront with AWS WAF and Route 53 to help protect dynamic web applications (with dynamic content such as a response to user input) against DDoS attacks. The steps shown in this post are key to implementing the overall approach described in AWS Best Practices for DDoS Resiliency and enable the built-in, managed DDoS protection service, AWS Shield. AWS hosts CloudFront and Route 53 services on a distributed network of proxy servers in data centers throughout the world called edge locations. Using the global Amazon network of edge locations for application delivery and DNS service plays an important part in building a comprehensive defense against DDoS attacks for your dynamic web applications. These web applications can benefit from the increased security and availability provided by CloudFront and Route 53 as well as improving end users’ experience by reducing latency. The following screenshot of an Amazon.com webpage shows how static and dynamic content can compose a dynamic web application that is delivered via HTTPS protocol for the encryption of user page requests as well as the pages that are returned by a web server. The following map shows the global Amazon network of edge locations available to serve static content and proxy requests for dynamic content back to the origin as of the writing of this blog post. For the latest list of edge locations, see AWS Global Infrastructure. To help keep your dynamic web applications available when they are under DDoS attack, the steps in this post enable AWS Shield Standard by configuring your applications behind CloudFront and Route 53. AWS Shield Standard protects your resources from common, frequently occurring network and transport layer DDoS attacks. Attack traffic can be geographically isolated and absorbed using the capacity in edge locations close to the source. Additionally, you can configure geographical restrictions to help block attacks originating from specific countries. The request-routing technology in CloudFront connects each client to the nearest edge location, as determined by continuously updated latency measurements. 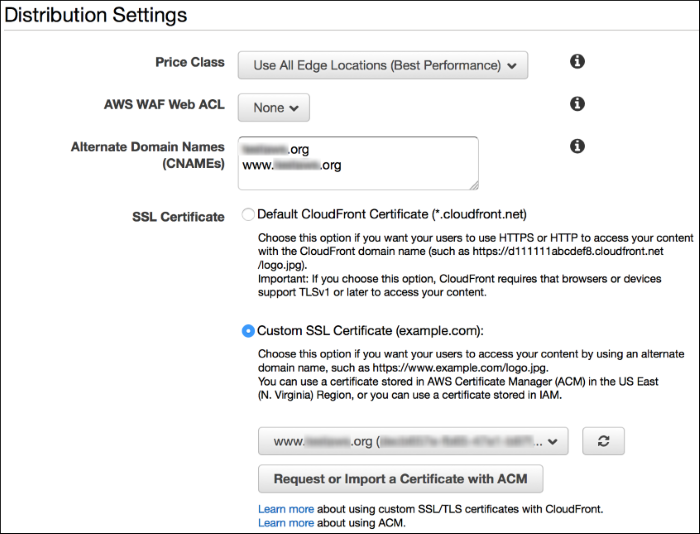 HTTP and HTTPS requests sent to CloudFront can be monitored, and access to your application resources can be controlled at edge locations using AWS WAF. Based on conditions that you specify in AWS WAF, such as the IP addresses that requests originate from or the values of query strings, traffic can be allowed, blocked, or allowed and counted for further investigation or remediation. The following diagram shows how static and dynamic web application content can originate from endpoint resources within AWS or your corporate data center. For more details, see How CloudFront Delivers Content and How CloudFront Works with Regional Edge Caches. Route 53 DNS requests and subsequent application traffic routed through CloudFront are inspected inline. Always-on monitoring, anomaly detection, and mitigation against common infrastructure DDoS attacks such as SYN/ACK floods, UDP floods, and reflection attacks are built into both Route 53 and CloudFront. For a review of common DDoS attack vectors, see How to Help Prepare for DDoS Attacks by Reducing Your Attack Surface. When the SYN flood attack threshold is exceeded, SYN cookies are activated to avoid dropping connections from legitimate clients. Deterministic packet filtering drops malformed TCP packets and invalid DNS requests, only allowing traffic to pass that is valid for the service. Heuristics-based anomaly detection evaluates attributes such as type, source, and composition of traffic. Traffic is scored across many dimensions, and only the most suspicious traffic is dropped. This method allows you to avoid false positives while protecting application availability. Route 53 is also designed to withstand DNS query floods, which are real DNS requests that can continue for hours and attempt to exhaust DNS server resources. Route 53 uses shuffle sharding and anycast striping to spread DNS traffic across edge locations and help protect the availability of the service. The next four sections provide guidance about how to deploy CloudFront, Route 53, AWS WAF, and, optionally, AWS Shield Advanced. On the first page of the Create Distribution Wizard, in the Web section, choose Get Started. Specify origin settings for the distribution. The following screenshot of the CloudFront console shows an example CloudFront distribution configured with an Elastic Load Balancing load balancer origin, as shown in the previous diagram. 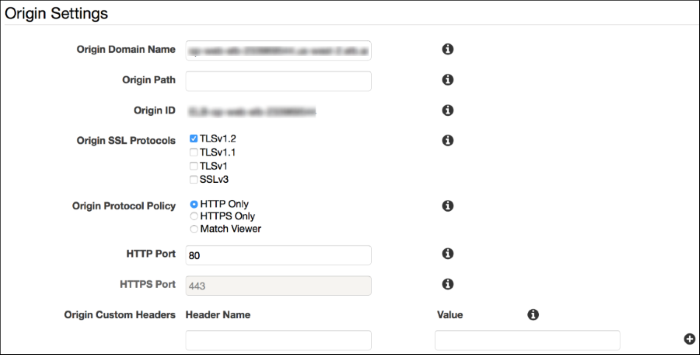 I have configured this example to set the Origin SSL Protocols to use TLSv1.2 and the Origin Protocol Policy to HTTP Only. For more information about creating an HTTPS listener for your ELB load balancer and requesting a certificate from AWS Certificate Manager (ACM), see Getting Started with Elastic Load Balancing, Supported Regions, and Requiring HTTPS for Communication Between CloudFront and Your Custom Origin. Specify cache behavior settings for the distribution, as shown in the following screenshot. 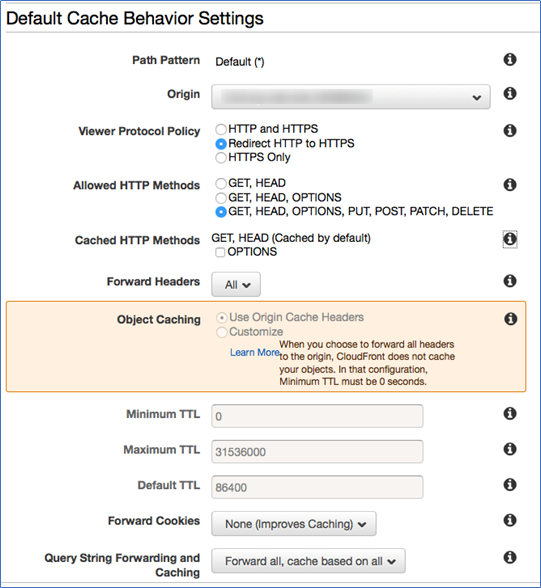 You can configure each URL path pattern with a set of associated cache behaviors. For dynamic web applications, set the Minimum TTL to 0 so that CloudFront will make a GET request with an If-Modified-Since header back to the origin. 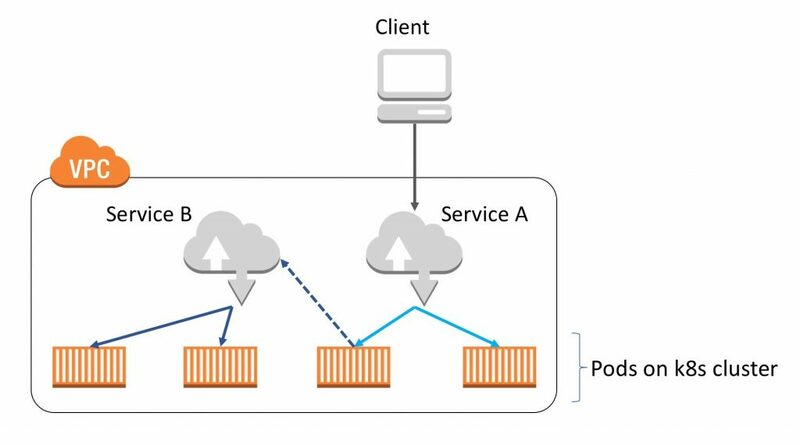 When CloudFront proxies traffic to the origin from edge locations and back, multiple concurrent requests for the same object are collapsed into a single request. The request is sent over a persistent connection from the edge location to the region over networks monitored by AWS. The use of a large initial TCP window size in CloudFront maximizes the available bandwidth, and TCP Fast Open (TFO) reduces latency. To ensure that all traffic to CloudFront is encrypted and to enable SSL termination from clients at global edge locations, specify Redirect HTTP to HTTPS for Viewer Protocol Policy. Moving SSL termination to CloudFront offloads computationally expensive SSL negotiation, helps mitigate SSL abuse, and reduces latency with the use of OCSP stapling and session tickets. For more information about options for serving HTTPS requests, see Choosing How CloudFront Serves HTTPS Requests. For dynamic web applications, set Allowed HTTP Methods to include all methods, set Forward Headers to All, and for Query String Forwarding and Caching, choose Forward all, cache based on all. Specify distribution settings for the distribution, as shown in the following screenshot. Enter your domain names in the Alternate Domain Names box and choose Custom SSL Certificate. Choose Create Distribution. Note the x.cloudfront.net Domain Name of the distribution. In the next section, you will configure Route 53 to route traffic to this CloudFront distribution domain name. When you created a web distribution in the previous section, CloudFront assigned a domain name to the distribution, such as d111111abcdef8.cloudfront.net. You can use this domain name in the URLs for your content, such as: http://d111111abcdef8.cloudfront.net/logo.jpg. Alternatively, you might prefer to use your own domain name in URLs, such as: http://example.com/logo.jpg. You can accomplish this by creating a Route 53 alias resource record set that routes dynamic web application traffic to your CloudFront distribution by using your domain name. Alias resource record sets are virtual records specific to Route 53 that are used to map alias resource record sets for your domain to your CloudFront distribution. Alias resource record sets are similar to CNAME records except there is no charge for DNS queries to Route 53 alias resource record sets mapped to AWS services. Alias resource record sets are also not visible to resolvers, and they can be created for the root domain (zone apex) as well as subdomains. Creating a Public Hosted Zone. Sign in to the AWS Management Console and open the Route 53 console. Choose the name of the hosted zone for the domain that you want to use to route traffic to your CloudFront distribution. Name – Type the domain name that you want to use to route traffic to your CloudFront distribution. The default value is the name of the hosted zone. For example, if the name of the hosted zone is example.com and you want to use acme.example.com to route traffic to your distribution, type acme. Type – Choose A – IPv4 address. If IPv6 is enabled for the distribution and you are creating a second resource record set, choose AAAA – IPv6 address. Alias Target – In the CloudFront distributions section, choose the name that CloudFront assigned to the distribution when you created it. Routing Policy – Accept the default value of Simple. Evaluate Target Health – Accept the default value of No. If IPv6 is enabled for the distribution, repeat Steps 4 through 6. Specify the same settings except for the Type field, as explained in Step 5. The following screenshot of the Route 53 console shows a Route 53 alias resource record set that is configured to map a domain name to a CloudFront distribution. 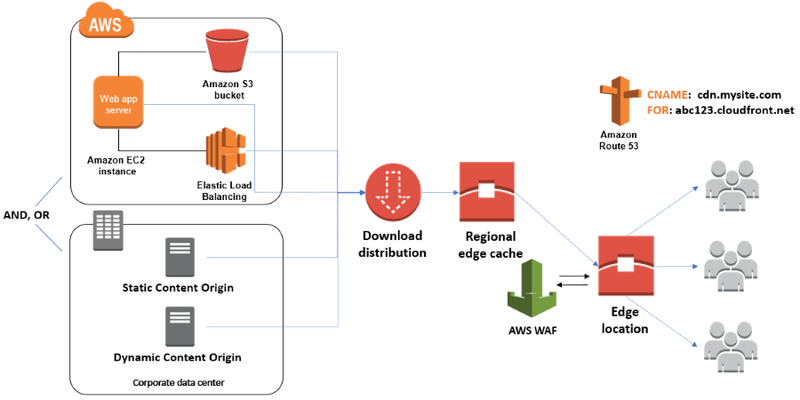 If your dynamic web application requires geo redundancy, you can use latency-based routing in Route 53 to run origin servers in different AWS regions. Route 53 is integrated with CloudFront to collect latency measurements from each edge location. With Route 53 latency-based routing, each CloudFront edge location goes to the region with the lowest latency for the origin fetch. AWS WAF is a web application firewall that helps detect and mitigate web application layer DDoS attacks by inspecting traffic inline. Application layer DDoS attacks use well-formed but malicious requests to evade mitigation and consume application resources. You can define custom security rules (also called web ACLs) that contain a set of conditions, rules, and actions to block attacking traffic. After you define web ACLs, you can apply them to CloudFront distributions, and web ACLs are evaluated in the priority order you specified when you configured them. Real-time metrics and sampled web requests are provided for each web ACL. You can configure AWS WAF whitelisting or blacklisting in conjunction with CloudFront geo restriction to prevent users in specific geographic locations from accessing your application. The AWS WAF API supports security automation such as blacklisting IP addresses that exceed request limits, which can be useful for mitigating HTTP flood attacks. Use the AWS WAF Security Automations Implementation Guide to implement rate-based blacklisting. 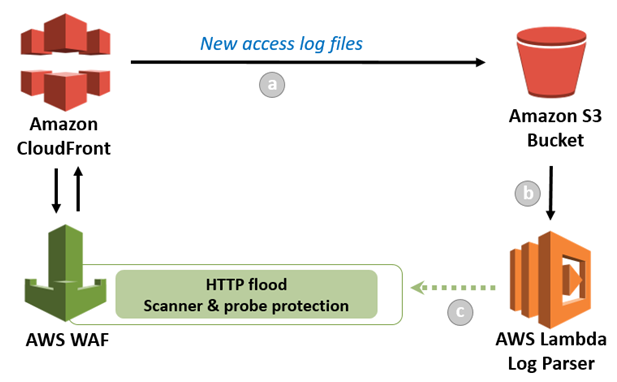 The following diagram shows how the (a) flow of CloudFront access logs files to an Amazon S3 bucket (b) provides the source data for the Lambda log parser function (c) to identify HTTP flood traffic and update AWS WAF web ACLs. As CloudFront receives requests on behalf of your dynamic web application, it sends access logs to an S3 bucket, triggering the Lambda log parser. The Lambda function parses CloudFront access logs to identify suspicious behavior, such as an unusual number of requests or errors, and it automatically updates your AWS WAF rules to block subsequent requests from the IP addresses in question for a predefined amount of time that you specify. In addition to automated rate-based blacklisting to help protect against HTTP flood attacks, prebuilt AWS CloudFormation templates are available to simplify the configuration of AWS WAF for a proactive application-layer security defense. The following diagram provides an overview of CloudFormation template input into the creation of the CommonAttackProtection stack that includes AWS WAF web ACLs used to block, allow, or count requests that meet the criteria defined in each rule. To implement these application layer protections, follow the steps in Tutorial: Quickly Setting Up AWS WAF Protection Against Common Attacks. After you have created your AWS WAF web ACLs, you can assign them to your CloudFront distribution by updating the settings. Sign in to the AWS Management Console and open the CloudFront console. Choose the link under the ID column for your CloudFront distribution. Deploying CloudFront, Route 53, and AWS WAF as described in this post enables the built-in DDoS protections for your dynamic web applications that are included with AWS Shield Standard. (There is no upfront cost or charge for AWS Shield Standard beyond the normal pricing for CloudFront, Route 53, and AWS WAF.) AWS Shield Standard is designed to meet the needs of many dynamic web applications. Sign in to the AWS Management Console and open the AWS WAF console. If this is your first time signing in to the AWS WAF console, choose Get started with AWS Shield Advanced. Otherwise, choose Protected resources. Choose Activate AWS Shield Advanced. Choose the resource type and resource to protect. For Name, enter a friendly name that will help you identify the AWS resources that are protected. For example, My CloudFront AWS Shield Advanced distributions. (Optional) For Web DDoS attack, select Enable. You will be prompted to associate an existing web ACL with these resources, or create a new ACL if you don’t have any yet. In this blog post, I outline the steps to deploy CloudFront and configure Route 53 in front of your dynamic web application to leverage the global Amazon network of edge locations for DDoS resiliency. The post also provides guidance about enabling AWS WAF for application layer traffic monitoring and automated rules creation to block malicious traffic. I also cover the optional steps to activate AWS Shield Advanced, which helps build a more comprehensive defense against DDoS attacks for your dynamic web applications. If you have comments about this post, submit them in the “Comments” section below. If you have questions about or issues implementing this solution, please open a new thread on the AWS WAF forum.